GO AVS!!! Though I was unable to watch, nice way to start with a win over the Wild. 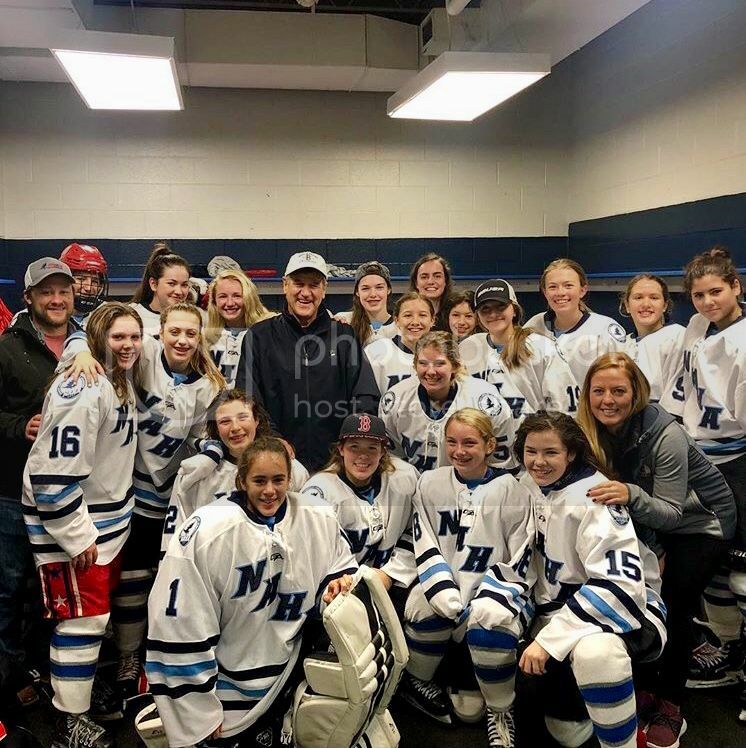 So not really NHL, ‘cept an NHL legend stopped by to watch a game today, then came in the locker room & signed personalizes photos for each girl & had a few words for them. One of the nicest men I have ever met. AVS can lose 80 at worst!!! Nice start by MacK and nice start by JTC. The MacKinnon-Landeskog-Rantanen line is really good. GO AVS! Chicago Blackhawks are the first team in NHL history to have their first 5 regular season games all go to OT. How about David Pastrnak 7 goals in 5 games. They are definitely on fire. 13 goals in 5 games. Jonathan Toews - Alex DeBrincat - Dominick Kahun (who?) are right behind them with 12 in 5 games. McDavid is magic, then you have to sit impatiently through a few minutes of whatever waiting for him to take another shift. Well ... it isn’t all bad ... in a way ... they remind me of the ‘79 ‘80 oilers .